It actually looks a lot like the Top Hat on Gold Rush. So maybe a Gerstlauer Infinity Coaster? JordyC wrote: So maybe a Gerstlauer Infinity Coaster? I agree that it is definitely not Gerstlauer track in that teaser, but teasers are not always 100% correct. I was just pointing out that the top hat reminded me a lot of Gold Rush's first element. RCDB states that the coaster will be 52 meters tall and will feature an LSM launch. Currently, there are no Mack launch coasters that are this tall - the tallest one being Helix at 41 meters. The tallest Gerstlauer Infinity that features an LSM launch is Junker at 40 meters. But there are multiple Intamin coasters with an LSM launch that go over 52 meters. So if we are looking at all this together with the matching track pattern, an Intamin will be the most likely. (I am not saying Mack or Gerstlauer can't build launch coasters over 52 meters, I am just pointing out that it is not been done yet.) But again, teasers aren't always the most reliable sources. First Drop Magazine lists the ride as an Intamin. FD isnt always 100% accurate but they are pretty good. Thank you for all the replies and support for this! I'm thinking Intamin as most sure manufacturer for this ride. Height will be 52 meters and "rapid-launch will achieve the 106km/h speed" I'll put my two cents for dual sequenced launch more likely than one launch. 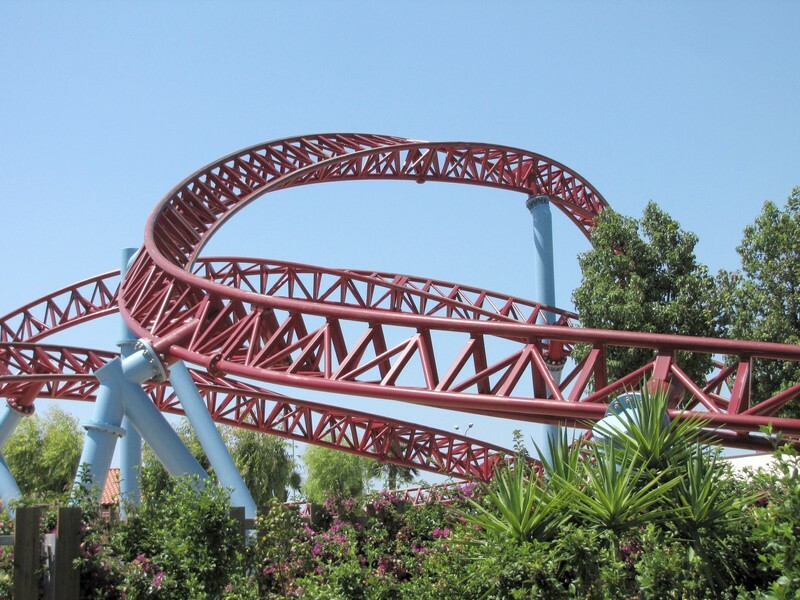 Or has Intamin made short and rapid launch coaster with LSM yet? Of course there is a chance that the train will achieve some 50-75km/h speed by its own gravity and then launch with LSM in the side of the hill side area.. Vonkaputous water coasters remains are so unnoteable at this time so my mind is on far away future already. Of course the bithciest part of this project is the footers of the Vonkaputous ! They dig them deep in the 2000-season and the work for clearing them out from the soil is a hard and long work. And I mean come on if it is Intamin it has a high likelyhood of becoming a coaster to be talked of even abroad! I can't wait! I'm just hoping they add some theming to the ride like they did with Salama in 2008 with the scenery pieces along the ride + slightly themed queue/station. As long as the theming is better than in their last coaster addition Ukko. Theme with Ukko? Whrere do you see it? Joke! But yeah. This scale of coaster and advertising at this point needs a well themeted station and surroundings.. With Kyöpelivuoren hotelli (dark ride with really good input to theme) in the neighborhood it would be a total kill to have a coaster with none of theme included. I'm hoping that next teaser will come shortly. I still hope the teasers are a strong hint as to the actual theming--both the hawk and the colors. This is shaping up to be truly exciting!